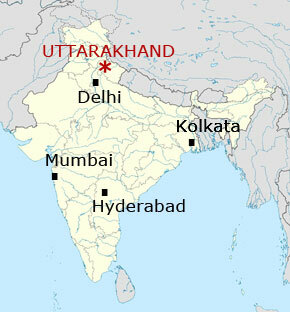 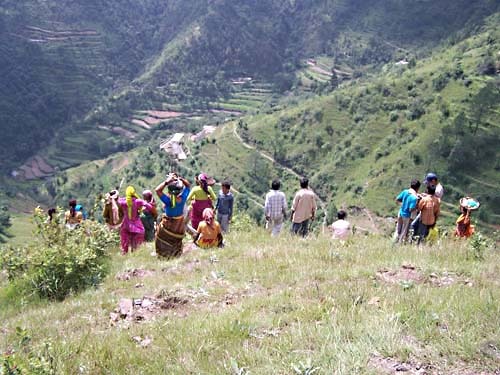 Meeting of women from forest groups from many villages. 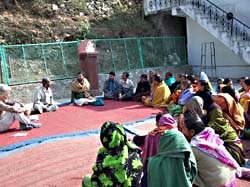 To exchange experiences, discuss problems and get ideas about new initiatives. 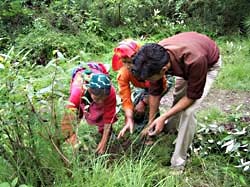 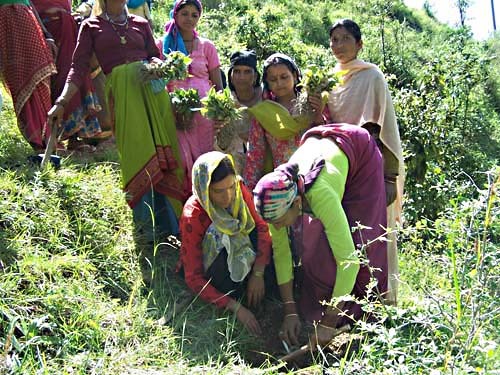 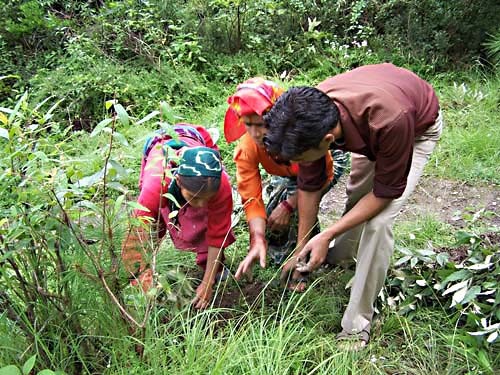 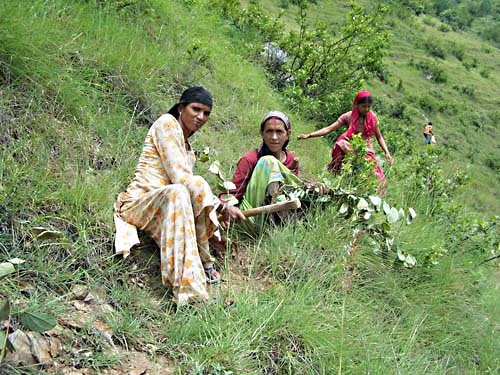 Women, man and youngsters come together for planting. 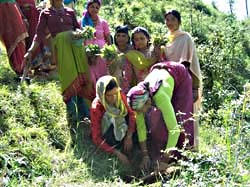 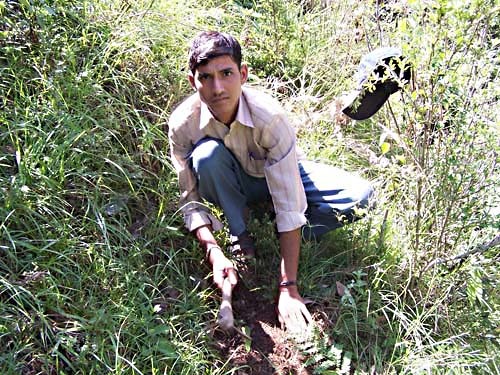 Saplings of good fodder trees are produced in local nurseries. 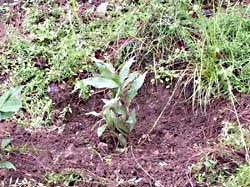 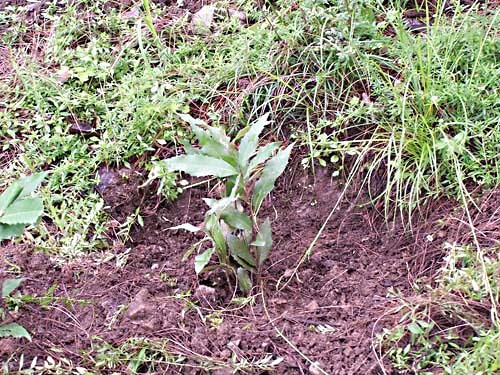 After digging a hole the sapling is planted. An oak tree, which is original in this area and gives good fodder.